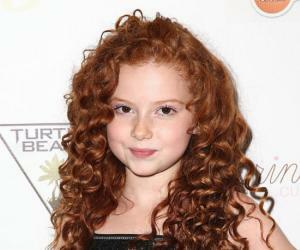 Check out all that you wanted to know about Francesca Capaldi, the famous TV actress; her birthday, her family and personal life, her boyfriends, fun trivia facts and more. Are you always hooked on to the Disney channel on TV? 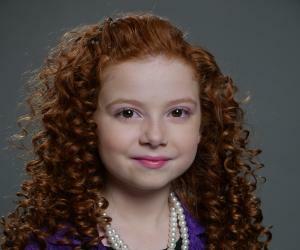 Then there is no way you wouldn’t recognize Francesca Capaldi. This cute, curly red haired girl starred as Chloe James in the Disney Channel sitcom ‘Dog with a Blog’. Residing in Carlsbad, California with her parents, Francesca is slowly but steadily making a mark in Hollywood. But did she always have her heart set on being an actor? You bet she did! She commenced her acting career at the age of seven with small roles in the Disney Channel Original Series ‘A.N.T Farm’ and in the CBS comedy ‘How I Met Your Mother’. In fact, she wants “to do it (acting) forever”! In her short career, she has already featured in the pilot for ‘The Goodwin Games’ and starred in Corbin Bernsen's television film ‘3 Day Test’. With her thick long red curls, it isn’t surprising that she was the voice of the Little Red-Haired Girl – the new crush of Charlie Brown in the 2015 film ‘The Peanuts Movie’. Children and young adults would agree that Francesca or ‘France’ (as loving called by her family members) is absolutely cute and stunning! Just look at the confidence and poise this little girl exudes. Plus her long red locks add to her innocent charm. 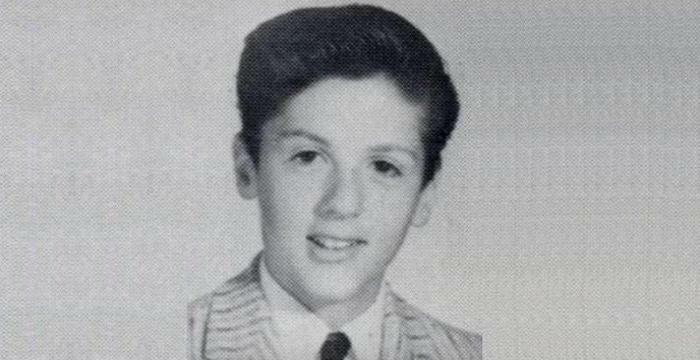 Born in La Jolla, California to Gina and Anthony Capaldi, her parents soon realized her potential in performing arts. 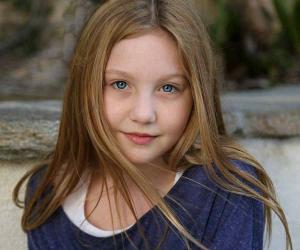 She began her acting career at the age of seven with small roles. 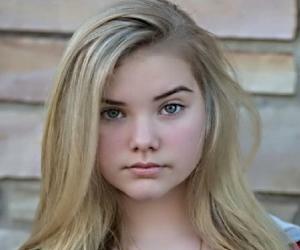 First in 2011, she appeared as an orphan in an episode titled ‘Santa’s Little Helpers’, in Disney Channel’s teen original series ‘A.N.T Farm’. Did you know that her performance in the show was so impressive that she was nominated with the ‘Young Artist Award’? She also appeared in three episodes of the CBS sitcom ‘How I Met Your Mother’, as a seven year old Lily Aldrin. Having made a mark in television, little Francesca turned her attention to films. She made her debut as Jessie Taylor in Corbin Bernsen’s independent film, ‘3 Day Test’ (2012). Her major acting role happened with Disney Channel’s regular sitcom, ‘Dog with a Blog’ which aired from October 2012 to September 2015. 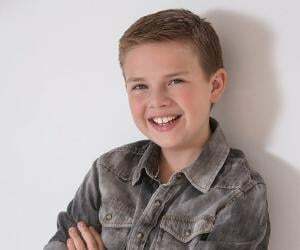 Riding high on the success of the sitcom, she voice-auditioned for ‘The Peanuts Movie’ (2015) and was selected as the voice of the mysterious love interest of Charlie Brown, the Little Red Haired Girl. It is not difficult to see why Francesca Capaldi is so special. What’s not to love about her? Apart from being an immensely successful child artist, she is sweet and bubbly. All the love, attention and adulation showered on her at such a young age doesn’t make her haughty, instead she remains humble and excited about her work. She loves acting and would like to do it forever! Who doesn’t love Chloe James - the charming, cheerful, sometimes annoying and mostly crazy girl from the popular Disney sitcom, ‘Dog with a Blog’? She has essayed the role perfectly! And who could be a better voice for the sweet and kind Little Red Haired Girl in ‘The Peanuts Movie’? Did you know that even amidst such a hectic schedule, Francesca manages to squeeze time to attend school? She enjoys reading and writing, and has some great friends who are very supportive of her work. They not only watch her show but sometimes visit her sets to encourage her. Although she has worked extensively with dogs, she doesn’t own one of her own. She loves to play with the dogs belonging to her friends and of course there was Stan on the sets of ‘Dog with a Blog’. Her favourite Halloween Costume is the Cinderella Dress and she likes pumpkin spice over hot chocolate. There is a long way ahead of Francesca and fans can hope to see her soon in another film or a sitcom. Francesca is active on Instagram and twitter, but she maintains a low profile. She has neither revealed her religious beliefs nor has she dated anyone publicly yet. She does not endorse any brand and her education background is unknown, although one of her interviews revealed that she is in middle school. Her workout routine and diet plan is also not known.